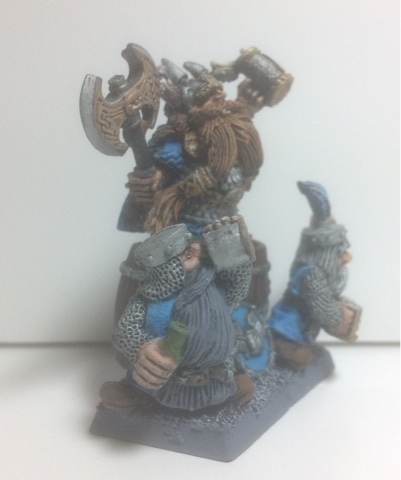 Here is my new dwarf lord on keg with drunks aka on shield with bearers. The lord is the Bugman mini from his bar at warhammer world one of my bros bought me back from his visit there. 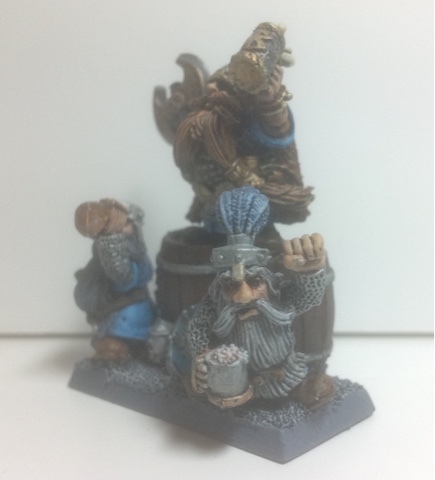 For all of those gen x's that remember when dwarfs were short, stout, hairy and drunk, black tree keep the dream alive compared to GW's rather lacklustre non plastic range. Although I am a fan of the new GW plastic hammerers, nothing beats an army that not only hits like a tonne of bricks but also weighs a tonne of bricks. 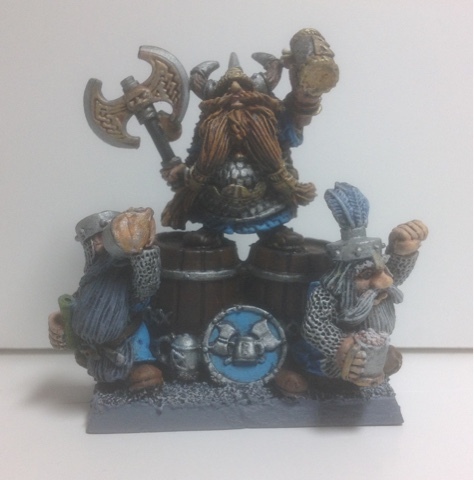 Therefore my dwarf army is made up of mainly black tree dwarfs who fit in nicely with most dwarfs from 4th to 7th edition before GW sent them to be "man-scaped" - seriously when did slayers drop the barrel chests and beer bellies for abs to grate cheese on!